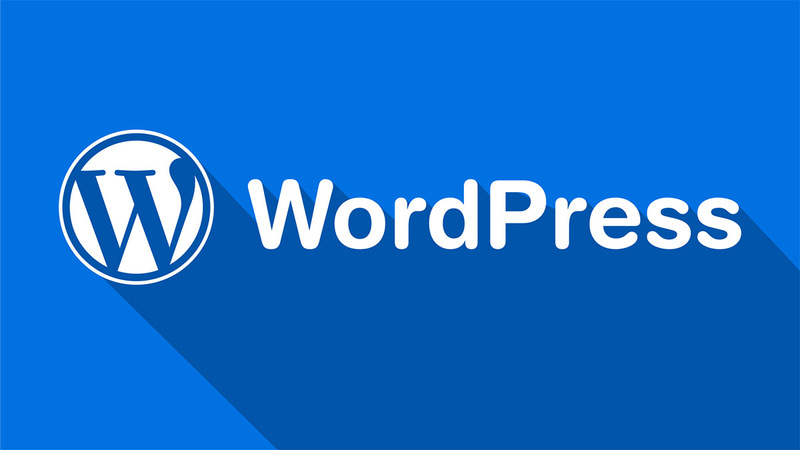 Surprisingly, how to start a WordPress blog is a way simpler process that you may think. It isn’t like it was years ago, but in the modern era we are living, and with the available resources, it is effortless. But why would I even want to start a blog? The reasons are endless. First, a blog is one of the easiest ways to start an online project and share your thoughts with the world. Second, you can expand your existing website with a blog and grow it using content marketing. Third, this one is the best one; you can make money with a WordPress blog. There are loads of ways how you can monetize your website and get the most bang for your buck. Hint: passive income. Each of the above deserves its own article so that is something we will not discuss here. It is our aim to show you that you can use a blog for a ton of different intentions. But I am not a coder, not even a designer, can I still do it? Not only will it take you barely any time to set things up, but it will also be easy and straightforward. Plus, there is a ton of ready-to-use content available for you to benefit from. However, if you do not have an idea and a domain name yet, you first need to sort that out. After that, it will all feel very natural even if it is your first time doing it. That said, do not get intimidated by the fact that it is you and only you who will bring into being the dream blog. For your information, it will take just around half an hour to put together a WordPress blog. The tutorial how to start a WordPress blog below is built out of nine sections. If you are ready just as much as I am, it is time to get you sorted out with a blog. While there are many content management systems (CMS) available, WordPress is one of the most user-friendly ones. Sure, you can pick any other (Drupal, Joomla, etc.) but reading this, you already know which you will go with. Am I correct? I mean, isn’t it obvious. Hurray for WordPress! However, it is not the CMS itself what is free, there are thousands of themes and plugins available at no extra cost, too. You pretty much need two things only to create a WordPress blog. (1) A web host and (2) a domain name. Yep, that is all there is you need to start your blogging adventure. Choosing the free route is fun and games only for a limited time. When you would like to do some advanced stuff, be in full control of your website and grow, the free platform will not do you good. If you have long-term plans for your blog, do not bother using the free platform at all. Create a self-hosted WordPress blog from the get-go. You will thank yourself later. First and foremost, you need to decide which industry and which niche you would like to focus on. Now, that could be something super niche or it can be broad, covering several topics. What your plan and long-term goal for your WordPress blog are is entirely up to you. Just do things wisely and strategically. Even if your initial plan is not to earn money with your website, it is still advisable to think bigger. Think beyond belief. Second, keyword research. After setting on a particular niche you are passionate about, it is time to get a better understanding of how big or small it is. You can use Google’s free Keyword Planner and type in a few keywords that are relevant to your topic. Hint: this might even help you pick the ideal domain name. Third, choose the domain name extension. Since there are loads available you should not trouble yourself with this part too much. That said, just stick with the most popular ones, like .com, .org and .net and you are good to go. 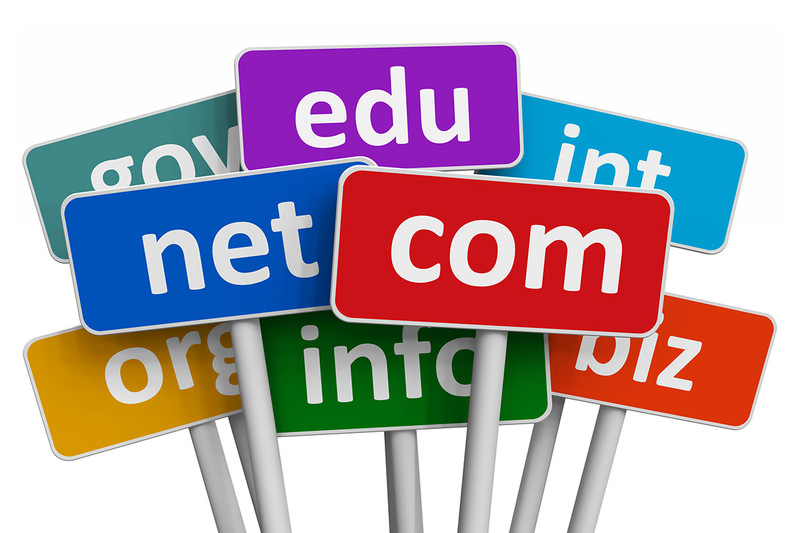 Fourth, and final step to choosing the domain name is the actual name itself. This is the URL that takes the user to the desired website, in our example, your WordPress blog. You chose the extension already, now let’s select the part before the .com. Bear in mind, if you are following this how to start a WordPress blog guide and taking action simultaneously, stop and do not purchase a domain name just now. For your information, some web hosts give you domain name for free if you choose them. None of the above terms, as well as none that follow, should intimidate you. It is all super simple, you might just be new to one or three things. Once you read it twice out loud, it will all feel more comfortable. Without web hosting, there is no WordPress blog. Web hosting is a service that, simply said, keeps your website alive. It stores all its content and data and makes others see and browse your blog no matter their location. So, do you need a web host? Indeed, you do. 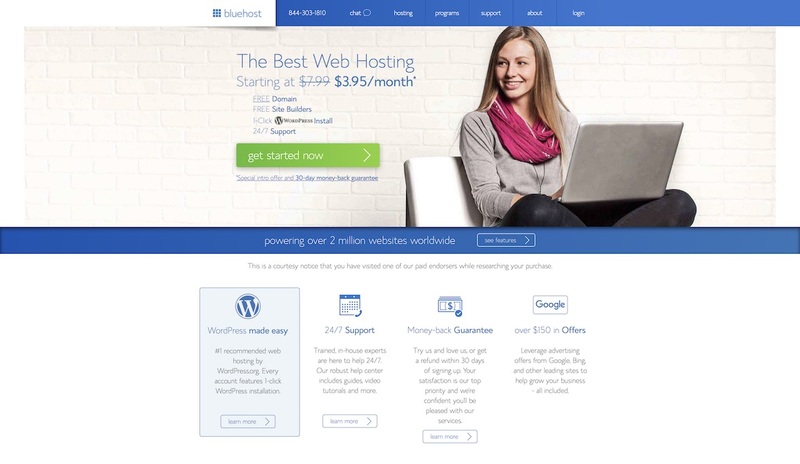 While there are numerous web hosting services available, cheap and pricey, it is Bluehost that we recommend. This is the hosting service that will bring the most value to your blog. Not only that, you will get the highest return on investment, period. There are countless benefits of why choosing Bluehost web hosting over any other. In the bellow simple instruction, you will learn how to get your WordPress blog up and running using Bluehost. Notice: it only takes a few minutes! 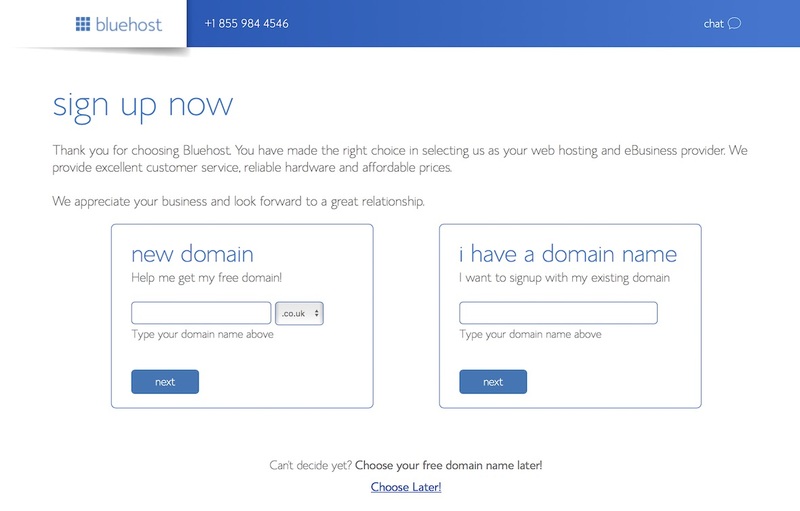 All you need to do is to visit Bluehost.com and click on the “get started now” button. Bear in mind, everyone who visits the web host from PremiumCoding.com receives a discount and a free domain. When you start a WordPress blog, a fresh one, there is no need for you to spend much on hosting. Unless you might be an influencer with millions of social media followers who decided to build a blog. There are three plans available: Basic, Plus and Prime. Go with the Basic plan, save money and your blog will be running flawlessly from day one. Finally, the free domain name we were talking about earlier. Now is the chance to pick the name you already brainstormed. Or at least I hope you did. You can pick all kinds of extensions, but I recommend to go with .com. Besides, .org or .net are great alternatives, too. 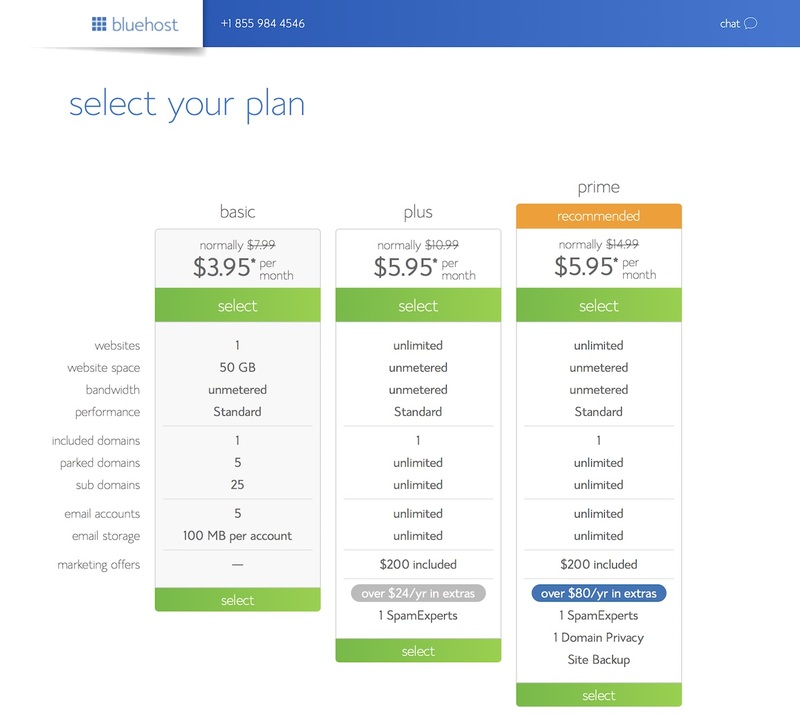 One page with three different sections guides you to the completion of your Bluehost account. 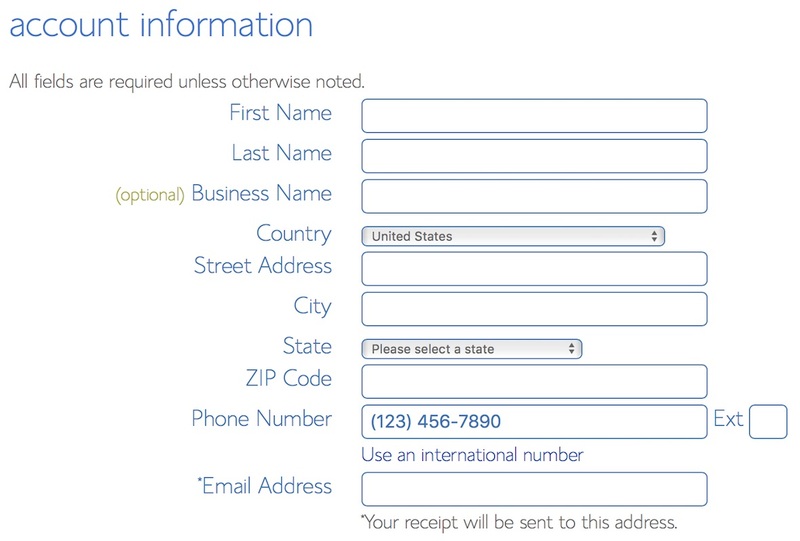 This is nothing else than entering your contact information. Here you will find extra package options to add to the basic account you picked a couple steps before. The first on the list is the account plan. The basic package offers you four options: 12, 24, 36 and 60 months. Pick accordingly, but I would suggest you start with one year and upgrade per your need. For the most part, you do not need all of these and you can even kick it off with unticking all add-ons. At any time, you can upgrade your account with the necessary. Pretty self-explanatory, don’t you think? Lastly, tick that you agree with Bluehost’s terms and policies and you are ready to hit the green “submit” button. After you created your Bluehost account and picked the desired plan and extra options, it is time to take advantage of the one-click WordPress install. First, go to Bluehost’s control panel which you find at my.bluehost.com. Second, locate cursor to the “Install WordPress” icon and click it. Third, type in the empty field on the left your domain name (www.yourdomainname.com), leaving the right section blank. Click on “Check Domain” button and the installation process begins. Bluehost’s one-click WordPress installation completed, now what? The first thing you will probably do is to type your WordPress blog domain name in the browser’s address bar. Do not freak out. What you will probably see on www.yourdomainname.com is a very basic page. Nope, that is not how your website will look like. We will get back to this part shortly. For now, you should access your admin section and get comfortable with it. Go to an URL similar to www.yourdomainname.com/wp-admin. The login details are the exact same as you chose during the setup process/installing WordPress. Upon logging into your WordPress admin panel, what you see might be new to you. However, after just a minute or so of clicking and checking different sections, you will realize how uncomplicated it all is. It is the sidebar menu which will take you to the desired location. At this point, you are pretty much halfway there at your start a WordPress blog activity. You see, the process of how to make a website is not that hard after all. You can even get a professional maintenance team to help you manage your WordPress website. After setting up WordPress and sorting out your web hosting and domain name, the next step is to choose the ideal theme. You know by now that there is not much going on at the chosen URL address. It is more or less a super basic and plain welcome page. That is not something you would want for your blog, I assume. For your convenience, you do not have to be a coder nor a designer to develop a functional website. 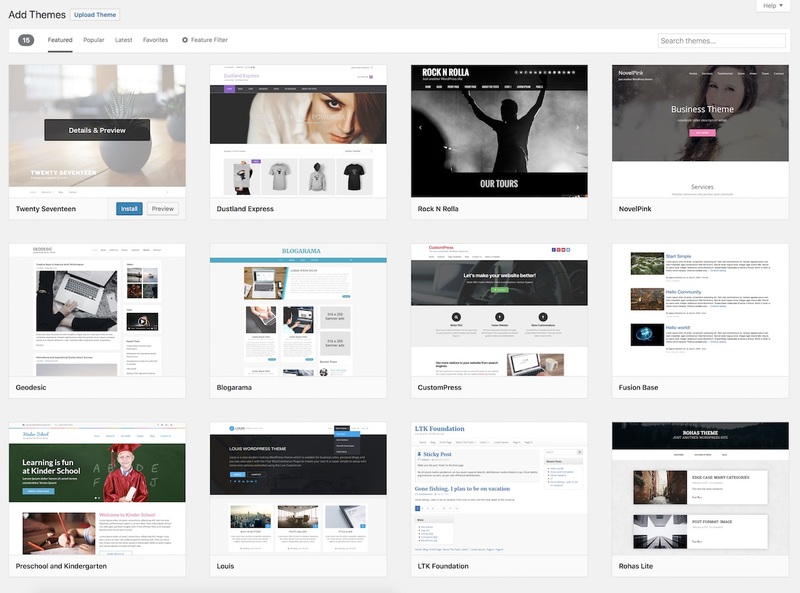 All you need are free or premium WordPress themes. By choosing a theme, most of the work is already done, you only need to add some finishing touches. I want a free WordPress theme! Okay, let’s check where you can find them. First, visit your WordPress admin panel. In the left sidebar, under Appearance, you click on Themes. At the top of the new page that opens, you will see the Add New button. Click it. What you get is a collection of thousands upon thousands of free WP themes. You can sort themes broadly by Featured, Popular, and Latest. However, if you are after something a bit more specific, Feature Filter is what you should check. Choose by type of layout, features or subject. The latter being, blog, eCommerce, news, etc. Selecting the perfect theme for your WordPress blog is fun, but the number of available products can make it a tedious process. Make sure you check the preview of each theme to see it in action. 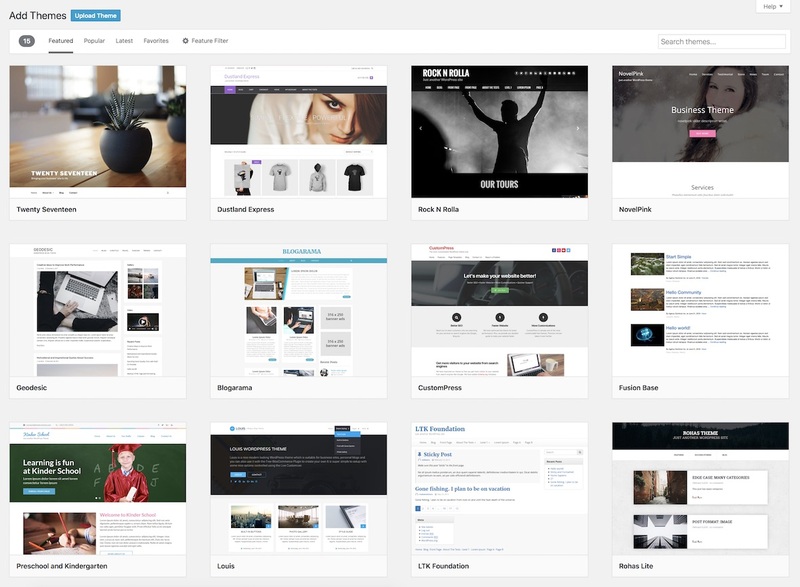 And be sure to check our own collection of free WordPress themes with super clean and minimal designs. Finally, you have the precise theme for your forthcoming blog. Click the pretty blue Install button. After the installation is completed, the same button will be replaced with the Activate button. Now activate it by pressing the button. You can now freely modify the WordPress theme by clicking the Customize link under the Appearance menu. Or if you installed one of our themes, you can go under Appearance – Theme’s options to edit various aspects of the theme. Voila, you are now qualified to create your very first blog post. 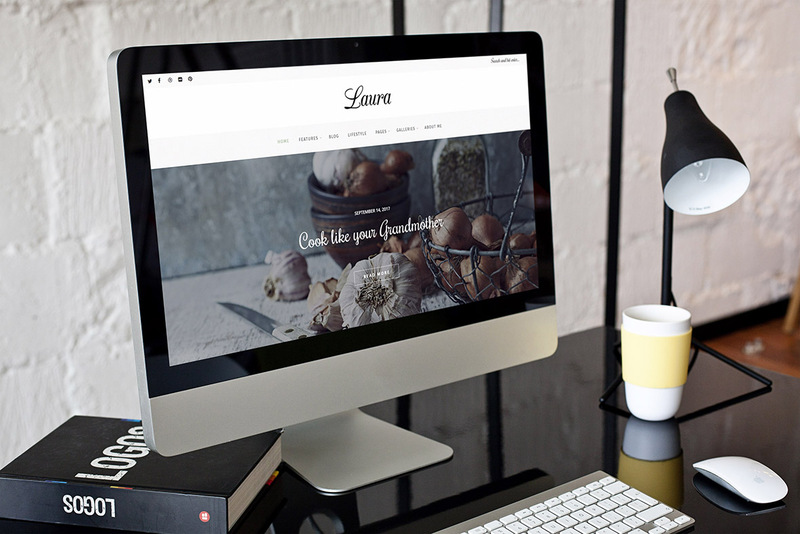 Quick tip: If you would like to bring the design of your website to an entirely new level, avoid the free and go with premium WordPress themes. These provide unlimited options regarding features and layout. You can truly go as creative as you would like with such a powerful theme and customize it exactly how you like it. We prepared a thorough guide on How to set up a WordPress blog theme and why you might choose a premium theme over a free one. This is probably the single most asked question related to WordPress. It doesn’t mean there is anything wrong with the theme, you just need to uninstall the first package. Inside you will find the Theme, documentation, necessary plugins, child theme, and demo content. So make sure that the file you are uploading is named simply themename.zip which is the main theme. So far so good. You have WordPress installed, and you are all set up with the ideal theme that will make your blog appear stunning on the web. The time has come to get some content going, so you can start driving traffic to your website and let others spread the word about it. It is posts and pages what we will go through in this section. These two are quite similar, so that’s why we combined them. If you understand how to work with one, you will have no problem taking care of the other, too. Wherever you are located in your WordPress admin at this moment, simply hit the Posts tab in the menu on the left and click Add New. A new blank page will open up for you with a bunch of sections and elements that we will go through right now. At the top is the title section of your post. That is what will appear not only on your blog but in search engines as well. Second is the big blank box which is the content area. Here is where you add text, subtitles, images, and videos. You can add visuals by clicking the Add Media button or copy and paste the video and images straight into the content area. In between the content area and the Add Media button, you will find all sorts of icons. These are the basic editing tools. They help you add links, make the text bold and create paragraphs. On the right, where it says Publish, you will find all you need in regards to publishing your article. You can save it as a draft, preview the post, schedule it or publish it immediately. Last but certainly not least, there are all sorts of other tools for categories, tags, adding features image and other whatnots. Whatever article you are writing, you will probably want to add some links to it. Those could be internal or external. As for the external links, it is advisable to make them open in a new tab. After all, you do not want your visitors to leave your page, right? To add a link, select the text and click the button that is right beside the Align Right. Add the link and then click on the gear button which will open the link settings section. For external links, tick the “Open link in a new tab” and finish adding the link. Do you remember the Add Media button from earlier? All you have to do is click it and then select images from the media library or upload new files. 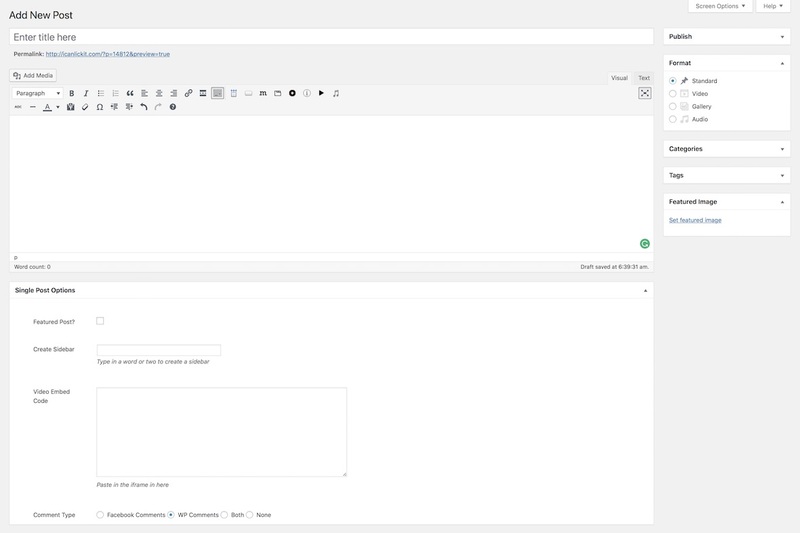 Each media file you can edit briefly within WordPress before publishing. Change the size, crop it, select placement and even add a link to it. Moreover, if you are adding a featured image, all you need to do is to click on the Featured Image on the left, select the picture and click set featured image. You are done adding pictures! While you can upload your own videos the same way as you upload images, for the most part, you will want to add videos straight from YouTube or Vimeo (to save bandwidth and because it’s easier to use). All you have to do is to copy the URL of the video and paste it into the content area. Make sure it is in its own line and not at the end/beginning of a sentence. You can hit the Preview button to see the video appear on your WordPress blog. When adding headings to your posts, avoid the Heading 1 and choose Heading 2 or 3. For your information, Heading 1 is the title and you do not want to have two titles. That might not only look weird but confuse search engines, too. 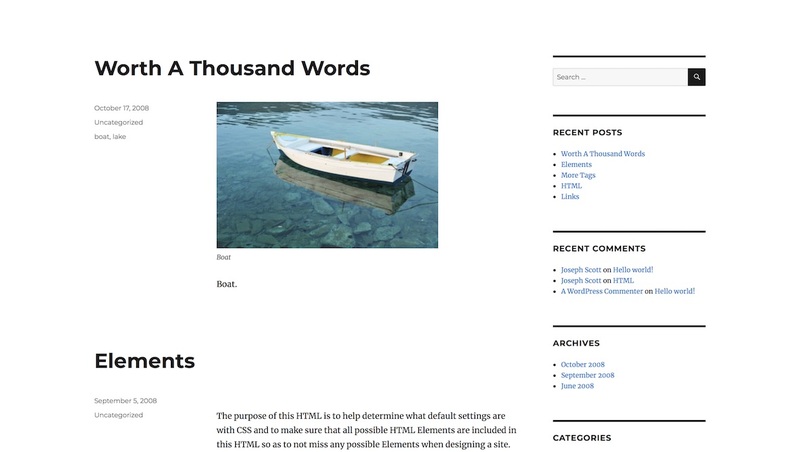 Heading 1 is already there when you publish the post as the main title (or at least should be in any properly developed theme). While WordPress will create a slug by default after adding the title, you will probably need to edit it slightly. Make it short and to the point. Normally, the slug is the main keyword you try to rank for with the title. By making it short, you also make the link of the post more shareable on social media and anywhere else on the web. Attention: The one and only thing you truly need to be careful with is the slug. You can change all the rest at any time while changing the slug is something you should avoid altogether. Look three times, if needed, to make sure you did not make any mistakes! You will thank me later. Once you believe adding the content, editing the slug and performing other fancy tweaks is complete, check live preview first before you publish it. This allows you to see your post live on your blog. If you are fine with what you see, go ahead and click the Publish button. There you have it, your first post or page is published! How easy was that? It does not require any rocket science to start a WordPress blog. Anyone can do it! This is the segment we could place above the Add new Pages and Posts section, but we all know how much excitement the first published blog post fills you with. That said, we let you write and post the article first and then move on to all the rest. Now, after you learned how to make a website, it is time to improve and perfect your creation. First, along with the blog section, you will want to add other pages, like About, Contact and all the rest you find of value to your readers. But to optimize your WordPress blog to the T, you will need plugins. These are applications that help you add features to your website and enhance its performance. You can create outstanding galleries and portfolios, create handy contact forms, connect your blog to social media and more. At the time of writing this, there are close to 55,000 available WordPress plugins. In short, there is a plugin for almost anything you can think of. However, you need to choose wisely and not submerge your blog with too many features. To kick it off, we wrote an entire article, listing the must-have WordPress plugins that will be of tremendous help. Stuff like Akismet and Yoast are one of the crucial tools you will want to add to your blog. The former keeps your page clean from spam and the latter helps with SEO optimization. Depending on the niche of your WordPress blog, you will want other, more specific plugins to extend the experience above and beyond. The process of adding a new plugin is just as easy as adding a new theme. Go to Plugins in the left sidebar and click Add New. Use the search bar to find the specific plugin and install and activate it. From then on, you can begin using it straight away. You can also use Featured, Popular and Recommended categories to see what is hot. The process about how to start a WordPress blog is now under your belt. When you look back, maybe just half an hour ago or so, the process was still very unknown to you. However, you are well familiar with it now and are becoming a master at building blogs. The next step in your blogging journey is to actually start blogging. While you might write about just something random that comes to your mind on a regular basis, for the long-term plan, that would not be the best option. Instead, approach online journaling strategically. It can take you quite some time before you finally brainstorm the exact approach you want to take in regards to publishing new posts. The best way of doing it is to be old-school for a few moments. Take a piece of paper and just start hammering down different ideas. Will you publish posts once a week, twice or five times? Will you be releasing a list-type article, another news-related and one from your personal experience? All in one week? Will it be a how-to or a tutorial? Do you plan on sharing tips and tricks about a particular niche? All these and countless other options are great to think about in advance. Sure, you can always improve your publishing technique, introduce new topics and avoid publishing a certain style of posts which are performing poorly. Always think ahead and play around to see what works best for your audience. Versatility and consistency are two of the key roles in succeeding at blogging. Of course, there is a ton more to consider, but the best way of doing it is to start today and learn on the go. No popular blog was perfect from the get-go, and yours does not have to be either. Just take action and start publishing the compelling articles. Bear in mind, it is the quality that matters most not quantity. Some blogs have barely any posts, but the quality is so outstanding, they receive most of the available organic traffic. Whereas other blogs, they post three times a day, but the level of expertness is so low, no one wants to read any of them. To stay ahead of the game, use an editorial calendar and manage all of your posts. Is this something that will cost you money? Nope. How to do it? Google Calendar. And yes, you guessed it, there is also a WordPress plugin for Google calendar, called Simple Calendar. That is something you are, chances are high, quite familiar with already. Am I correct? You might create a fresh new Google Calendar from scratch or you can find a free template online. In the last section, you made some decisions about how you will execute your blogging. If so, fill your Google editorial calendar with the needed content one or two weeks ahead of time. The further in the future you plan your editorial calendar, the more organized you will be. Not to mention, make sure you have three or five posts prepared in advance. Who knows, maybe you have some other stuff to do on the publishing day and just cannot find time to make it happen. Or you hit the writer’s block. With a few articles always ready, none of the mentioned will cause any distress. You can have the prettiest WordPress blog in this whole wide world but if no one knows about it, why the extra effort? The actual web design should be the last thing to worry about. Sure, the layout should be responsive, cross-browser compatible and following the latest web trends and technologies but more or less, that is it. There is no need to be adding all the extra features, extensions and special effects to your website. For the most part, it will do more harm than good. Keep things simple and appealing to the eye and focus on the following. What is important is your enticing content. Without it, turning your blog into a money machine is close to impossible. You should think about a mixture of timeless and news style content. But something that goes entirely against the grain might work well, too. I could mention this in one of our previous chapters but am only bringing it up now because content is king. That is so cliché, but it is still the most brutal truth. After posting a set of articles to your blog and you see some organic traffic coming in, start promoting your blog and consider monetization. You can use social media, email marketing, guest blogging, you name it, to spread the word out and get people aware of your masterpiece. There are all bunch of ways how you can make money with your blog. Let’s look at three of the most popular methods. While you can run your own banner on your WordPress blog using appropriate plugins, you can also use 3rd-party platforms like Google AdSense and BuySellAds. The latter option is definitely the easiest. You link your blog to the platform and earn based on banner clicks or a monthly flat rate. The amount you can earn depends not only on how much traffic your blog generates but how quality the traffic is, too. You can write articles and reviews and charge clients to publish them on your blog. You get fresh material for your blog and earn simultaneously! It is a win-win situation. I know, it feels like a dream, but it is as real as it sounds. However, it all depends on the popularity of your WordPress blog. Starting out, it will be hard getting someone to pay you to write about them. Whereas when you grow larger, clients will get in touch with you all by themselves offering you money in exchange for a blog post or a product/service review article. Affiliate marketing is one of those types of marketing when you get paid on commission. Meaning, for every referrer you send to a client, and he or she buys something, you get a percentage of the sale. In some of the cases, they do not even need to buy something rather just create a free account, and, again, you earn yourself a commission. The options how to profit with your blog are endless. Take action and start a blog today! Nothing will happen without putting in the work. You see how easy it is to start a WordPress blog so there is no time to waste. There is no need for postponing it anymore. Act now and start a blog today. Tomorrow, you can already begin thinking about what your second article will be all about.